Dream about Daenerys? Think you know more than Jon Snow? Put your crafting to the test with these Westeros-inspired, homemade Game of Thrones Halloween costumes. No dragon glass necessary. Winter is here, people, so bundle up with the coolest DIY costume this side of the wall. Be the first of your name with a stunning Mother of Dragons costume. Who wouldn’t want to be a powerful leader with flowing silver hair? Daenery Targaryen has many costume looks but she will always and forever be our Khalessi. If you’re deterred by her love for her nephew, harken back to the days when she was with Khal Drogo. What better way to memorialize this couple than with this DIY couple costume of the Khal and Khalessi. In addition, for the ultimate accessory, hop on a horse, or, better yet, the dragon below. 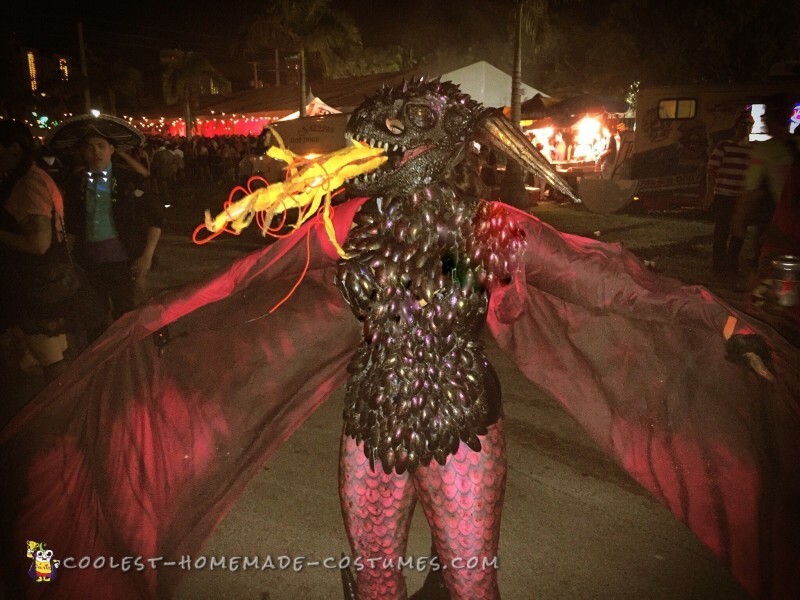 Be a terrifying dragon this Halloween with a fire-breathing, homemade costume. 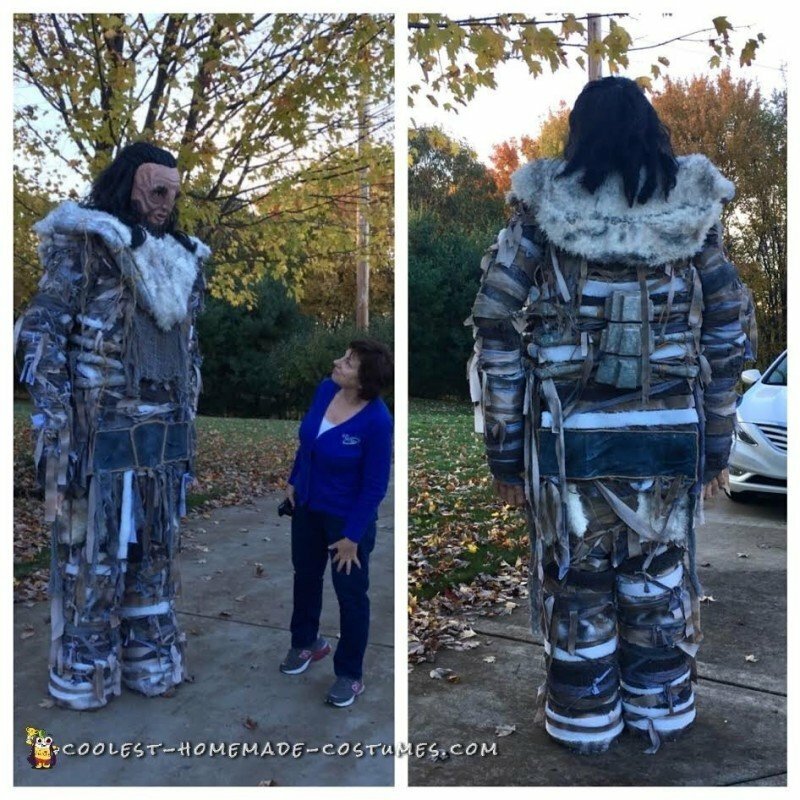 Even if you leave the fire at home, you can still inspire fear and loyalty with this incredible costume. And always remember – a dragon is not a slave. Try a mash-up costume this Halloween. Spice up your Game of Thrones costume look by combining it with another theme. 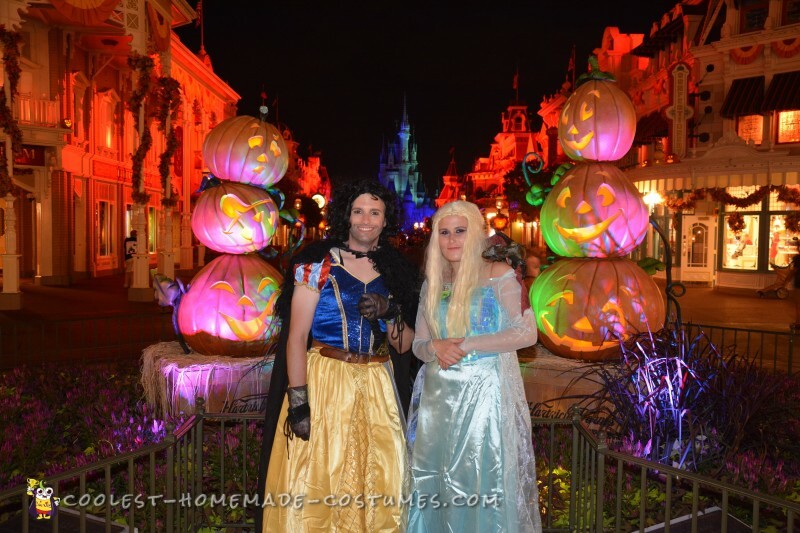 For example, take a look at this Frozen and GOT mash-up costume. Let your creativity run wild. Shot in the eye with an arrow, Wun Wun the Giant’s death, in the Battle of the Bastards, was heartbreaking. However, it appears he may have been resurrected as a White Walker. You can remember his greatness with this insanely cool tutorial for a homemade costume. 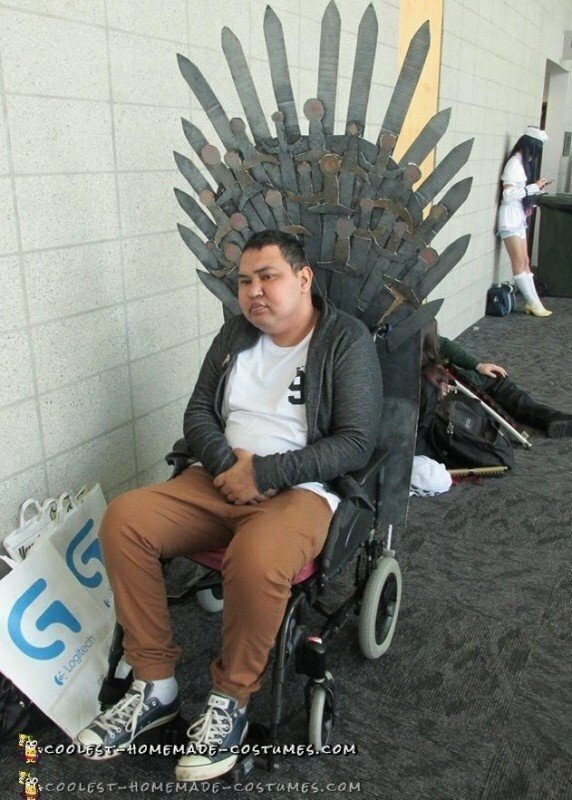 Beat out Cersei in the race for the throne with this fantastic Iron Throne wheelchair costume. Discover how to make this wheelchair DIY costume so you can truly rule Westeros. Or try this awesome optical illusion Iron Throne costume. Using cheap materials, this homemade costume looks more expensive than it actually is. Here’s yet another way to design an optical illusion Iron Throne costume! 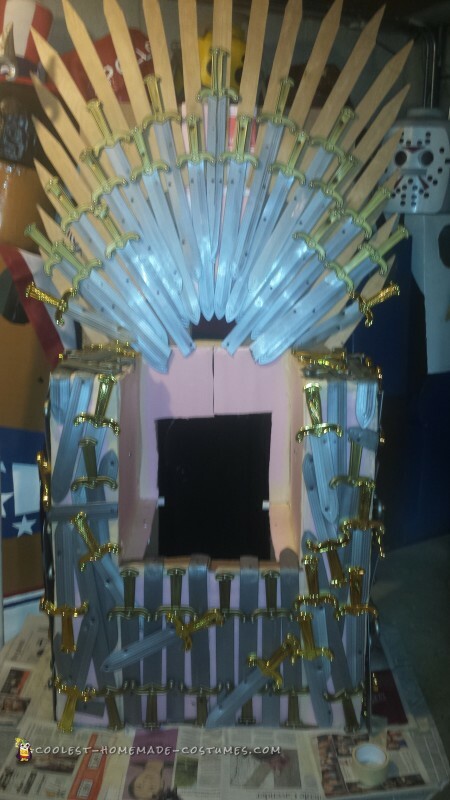 Check out the detailed pictures here for the most elaborate seat to rule the seven kingdoms. 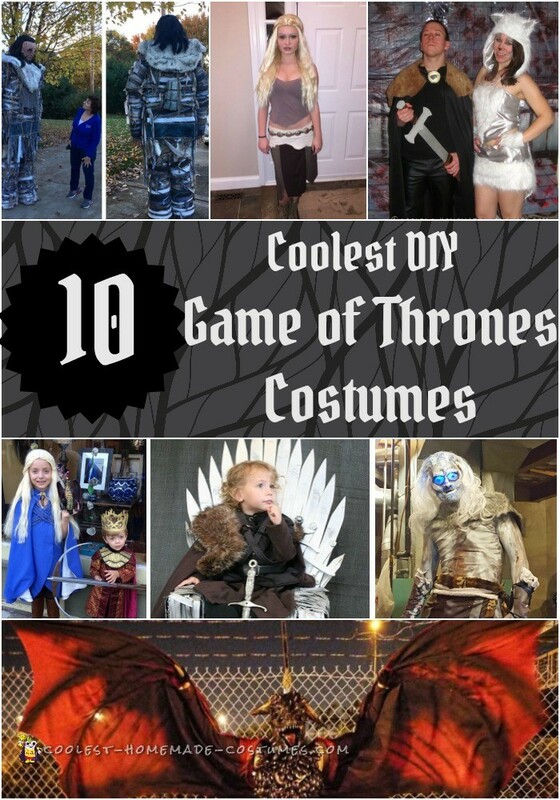 Create the coolest White Walker costume. Get the secret behind the glowing blue eyes in this awesome DIY costume. There’s something about little kids dressing up as evil incarnate that is just so adorable. Even though Joffrey left us a few seasons ago, we’ll never forget his psychotic ways. 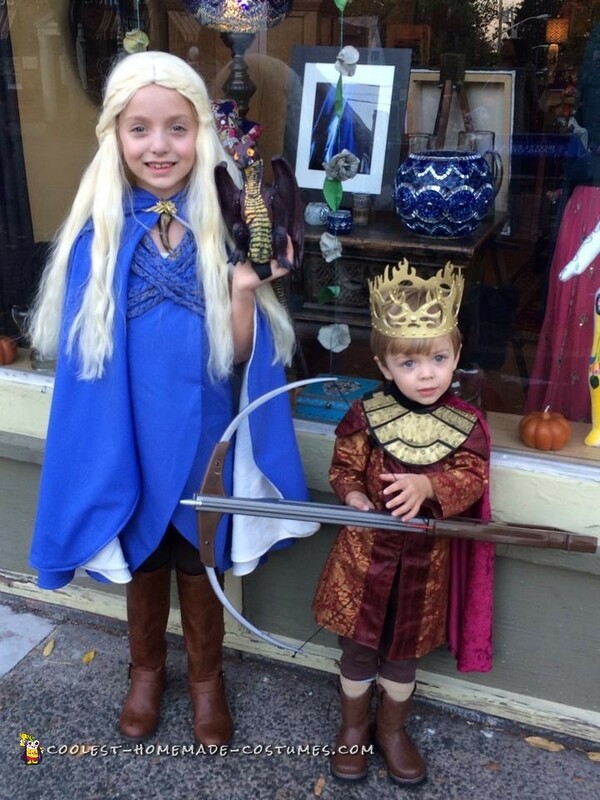 Try these DIY Game of Thrones Halloween costumes. One day Jon Snow will know his real name, but until he goes all Targaryen on us, we’ll take him as he is. 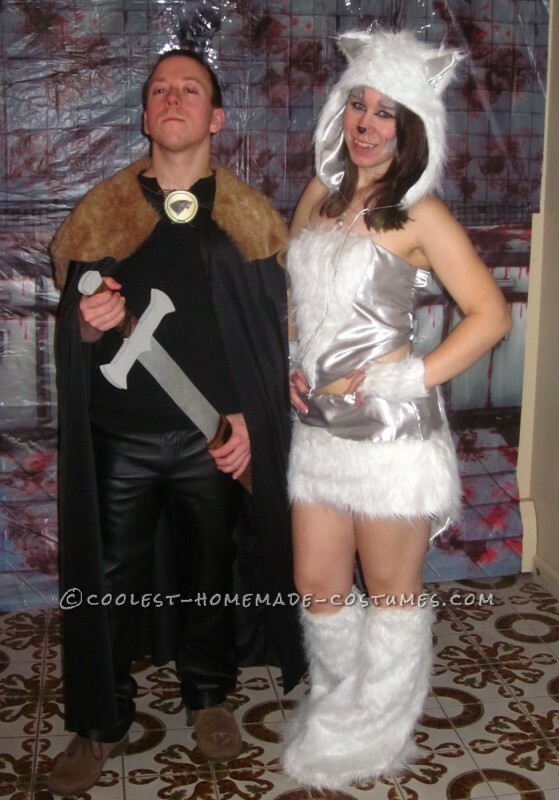 Try this couple costume with him and his faithful dire wolf, Ghost. Additionally, we’d love a Brienne of Tarth costume. Fierce and fabulous, try her costume either alone or as a couple costume. Choose between a golden handed Kingslayer costume or a red-bearded Tormund the Wilding costume. So, will you join the armies of the North this Halloween? Or fly the skies as a dead dragon? Either way, share your most creative homemade Game of Thrones Halloween costumes with us for the most epic DIY costumes ever!